Police say 36-year-old Cody Lott was arrested Monday morning in Biddeford. 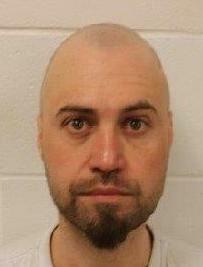 A 36-year-old man from Kansas was arrested Monday and charged with robbing a Saco hotel at gunpoint. A man brandishing a semi-automatic handgun entered the Ramada Hotel on North Street around 5:19 p.m. Sunday and demanded money, said Deputy Chief Jack L. Clements. The man fled the hotel with an undisclosed amount of cash, but police were unable to track him using a K-9 team. Shortly after 9 a.m. Monday, Saco police received a tip that the suspect was spotted on Main Street in Biddeford. Members of the Biddeford Police Department patrol and criminal investigations division responded to the area and, a short time later, located and detained Cody Lott. Lott is from Kansas, Clements said. Lott was charged with Class A robbery and was taken to York County Jail. Bail was set at $5,000. Clements said Saco police continue to investigate the robbery.